A new hero is available for Hearthstone for a limited time, but you have to buy him on iOS before April 24 if you want him. Check out our list of best Hearthstone decks in preparation. 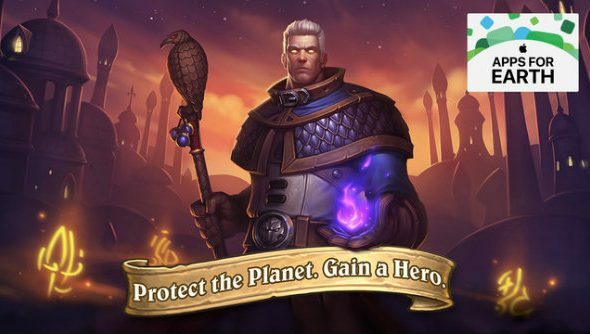 Khadgar was once Medivh’s apprentice, but he’s now renowned as one of the most powerful Mages in history, and you can harness this power if you add him to your roster of heroes between now and April 24 PDT. He’ll be purchasable from the in-game Hearthstone store, but only on iOS. Once bought, however, you can use the magic wielder across any device. All of the proceeds will be donated to the WWF (not wrestlers), so you’ll be doing your bit to save the planet, too, which is nice. The differences between Khadgar and default mage Jaina are purely cosmetic, so don’t worry too much if you don’t have an Apple device to pick him up on. See the new mage in action below.